SEO Website Design for Lawn Care Companies | Get Found Online! SEO Website Design by Lawn Crack – WordPress Site, DIVI, and SEO +1 Years worth of hosting and we will even pay for the domain for you for the first year. Get found in 2018 with a professionally built website by Lawn Crack! Our WordPress websites built with the DIVI theme and DIVI builder including all onsite SEO performed are a bargain at $2,295 when compared apples to apples with what other designers are offering. It simply takes a longer time to enter all of the little details and double check everything from functionality on mobiles devices, to making sure all links work properly, hooking the site up fully with Google and Bing, creating the custom emails and all backend integration to ensure delivery and receipt, and proofreading the text, etc. we assign each page a focus keyword. ~You will receive all passwords and login info regarding your website. ~We pay for your Domain and Privacy for the 1st Year as well. ~Once the final payment is received, the site is 100% yours. Thank you very much for the website and seo work! Very pleased with the results from Ryan Sciamanna at Lawn Crack! The phone started to ring off the hook when the SEO kicked in, because my website https://hallspro.com ranked on the first page! Received so many phone calls and request that I had to temporarily stop taking on new customers since I am a owner/operator. If you are planning on growing a large company having great seo and website built from Lawn Crack would surely make it possible in no time. What impressed me most is the money spent on the website has paid off big time! When you consider that the website is a selling machine that works 24hrs a day with minimum investment and exponential increase in revenue you would be crazy not to have Lawn Crack build your website! 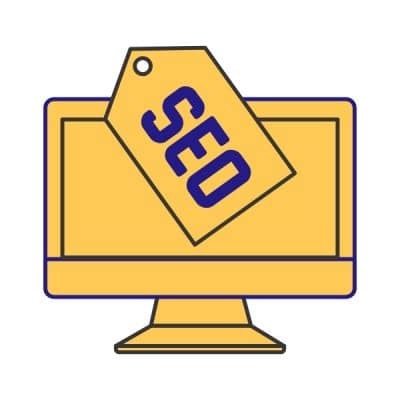 I researched other companies before hiring Lawn Crack, but ultimately decided to go with Lawn Crack because of the technical behind the scenes SEO (search engine optimization) results that turned my website into a selling machine.